A former United Conservative Party nomination race candidate who said he collaborated on a "kamikaze" campaign to tank Brian Jean and ensure Jason Kenney's success in the party's 2017 leadership race is calling for a judicial inquiry into the situation. A former Alberta United Conservative Party nomination race candidate who said he collaborated on a "kamikaze" campaign to tank Brian Jean and ensure Jason Kenney's success in the party's 2017 leadership race is calling for a judicial inquiry into the situation. 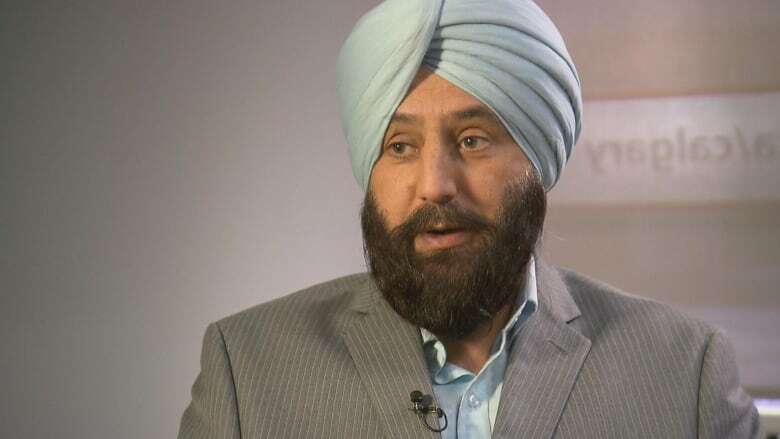 Hardyal Singh (Happy) Mann says he attended a meeting at Jeff Callaway's house on July 19, 2017, along with Kenney and other party insiders, where it was decided Callaway would join the UCP leadership race to run a campaign aimed at discrediting Jean, before dropping out of the race to endorse Kenney. He said he was also told not to worry about where the funds for Callaway's campaign would come from. "Kenney's been pointing the fingers at volunteers on this and that but reality is different," Mann told CBC News on Monday. "The reality is that yes, this has all been planned when Kenney was present." Mann said he wants a judicial inquiry, and he's asking for Kenney and his team to detail under oath the scope of their involvement in the plan. "Until this is assigned as a judicial inquiry nobody will come forward under oath," he said. "Let's all take a collateral responsibility that, yes, the mistake has been made, the kamikaze campaign was planned and executed. … Stop denying it, stop lying to Albertans, come clean and accept the responsibility as I did." Mann's comments reaffirm what's shown by a leaked cache of documents obtained by CBC News — that Kenney's campaign provided Callaway's campaign with resources including strategic political direction, media and debate talking points, speeches, videos, and attack advertisements, all with the aim of destroying Jean's shot at the leadership and leaving the path clear for Kenney's win. Kenney and Callaway have denied they collaborated on a kamikaze campaign. When asked for a response to Mann's allegation, a UCP spokesperson directed CBC News to comments Kenney made Friday at a media availability, when he said he met with Callaway in July 2017 to seek his endorsement. "At that meeting, he told me he had this idea about running his own leadership campaign. … I think staff between the two campaigns kept in touch after that. But I had absolutely no knowledge whatsoever about how they financed their campaigns," he said. The RCMP and Alberta's election commissioner are investigating allegations of irregular financial contributions to Callaway's campaign, and Mann said he has supplied the authorities with documents relating to his donations and donations from two of his family members. He said he won't say whether he donated his own money or money supplied by someone else to Callaway's campaign until the investigation is closed. "My money or not, I already disclosed that to the election commissioner … whatever was the truth, I gave it to the authorities." Contributor Karen Brown was fined $3,500 for donating funds that were given to her by another person. Co-campaign manager Cameron Davies was fined twice, for a total of $15,000, for obstruction of an investigation. Mann said Davies was one of those in attendance at the July 19, 2017, meeting at Callaway's home. Davies' lawyer, Dale Fedorchuk, said Davies was no longer one of his clients as of Sunday. Earlier in March, the UCP removed Randy Kerr as the party's candidate for Calgary-Beddington, saying Kerr wasn't "forthcoming" about his donation to Callaway's campaign. Mann said he doesn't want smaller party operatives to be the only ones taking the fall for the allegations. "It was Kenney's appetite to run somebody who could be that stalking horse. It ended up with Jeff Callaway … we are just the facilitator in the middle, to execute the plan that was made," Mann said. "But if Kenney is putting this on the volunteers that, 'No, no, no, I was not aware,' then can he deny on record that he never approached Derek Fildebrandt?" A document prepared by Davies, obtained by CBC News, outlines Callaway was not the party's first choice — Fildebrandt, then a UCP MLA, was considered but ultimately determined to be not "suitable" for the role. Kenney told media following Monday's throne speech that his conversations with Callaway and Fildebrandt were being mischaracterized by Mann and that he was simply meeting with both politicians to court their endorsements. He also said he isn't aware of his campaign sharing materials with Callaway's campaign, but if they did, he doesn't see it as a violation of election law. "The notion that sending press clippings and a couple of memes to a campaign is directing it is ridiculous," Kenney said. "Our team was producing a lot of graphic and video content, a lot of which we didn't use, maybe some of that was shared." Kenney said he was aware Callaway was attacking Jean during his campaign, but that he didn't direct Callaway to do so. As for the investigation into allegations of improper financial contributions, Kenney said he'll be disappointed if that's found to be the case. "It appears ethical and legal lines appear to have been crossed with respect to the financing of another campaign," Kenney said. Mann, who previously ran twice for the Wildrose Party, said his allegations and those brought forward by fellow whistleblower Prab Gill, a former UCP MLA, can't be dismissed as simply "sour grapes."